Moving is one of the most exciting parts of your life. You’ve gone through the trouble to pick out a new place, you’ve set your heart on what your new home or office is going to look like, now you have to turn to the packing and hauling part of the process. But, there’s no reason this should ruin the fun We’re aware that one of the most stressful times in your life is when you are moving, even though it is a symbol for the prospect of a new beginning. It’s easy to get overwhelmed by the amount of stuff you’ll have to haul, which friend will let you borrow the truck and where exactly you’re going to get all those boxes from. Rather than bog yourself down with your own expectations, take it one step at a time and call Scott’s Oceana Moving. We’ve handled the stress of moving before and we can ensure that everything goes smoothly so you won’t have to worry about exasperating a high-tension situation. Scott’s Oceana Moving has carefully examined the moving process and pinpointed where you stress is more likely to come from. We’ve created services surrounding those aspects of moving so that you can focus on how to cope with a drastic change of relocating your life and your home. We’ve featured our various moving services below, which are meant to make your move as simple as possible. If you’re in need of move-out cleaning or rental moving trucks, we are happy to oblige and help in whatever way we can. Interested in some moving tips? 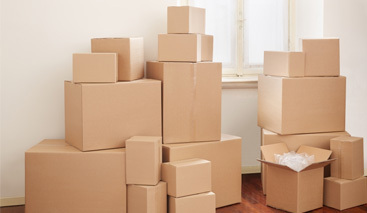 Check out our blog where we feature practical ways to keep your stress down during this time in your life as well as efficient ways to pack up your things, and how to declutter your home responsibly before you have to move.